Financial planning is an ever-evolving and complex process. Kerri has been recognized as an advisor who is dedicated to educating her clients on sound financial principles that help ensure their long-term financial success. Her approach to financial planning is to develop personal and lifelong relationships with her clients in order to understand their unique situations and goals. Clients appreciate her willingness to work collaboratively with their other professional advisors, including attorneys and CPAs, to manage the design and implementation of a clear, comprehensive plan. Recognizing that today’s women face a unique set of challenges, Kerri is passionate about helping them grow and preserve their wealth, while building their confidence in planning and managing their financial lives. 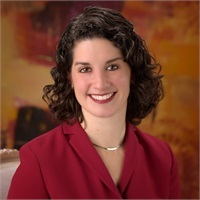 Prior to her career in financial services, Kerri honed her strategic planning and relationship management skills as a development professional for the Boston Symphony Orchestra and the Eastman School of Music. She specialized in working with high net worth individuals interested in contributing to these institutions through endowments and legacy gifts.